This article launches our traditional and annual series of Photo Reports for China. You can check out the 30 Chinese cities and regions we have explored over the past five years here. After the Beijing Auto Show, we will be exploring one new Chinese region and 2018 is the year of Inner Mongolia. 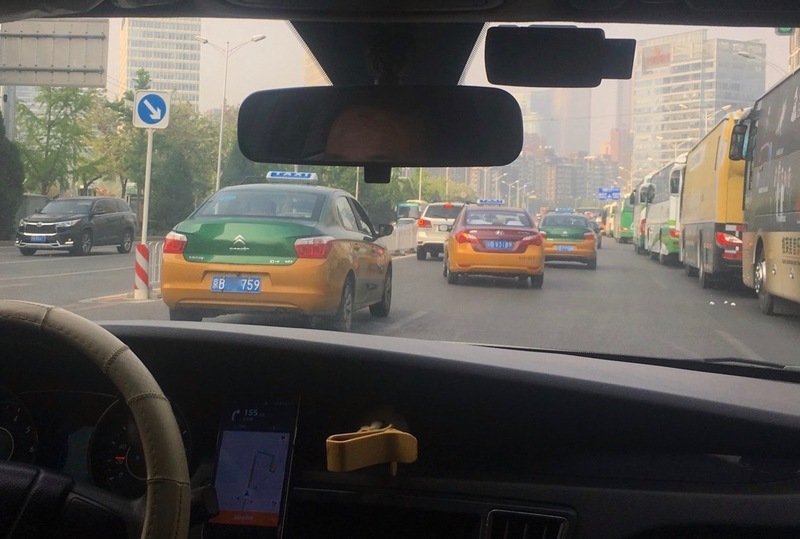 But first, let’s have a quick look at the cars of Beijing and my experience using the Didi ride hailing app for the first time. Beijing pollution isn’t a legend: this was the weather for the whole time I was in town. This is the fourth time I visit Beijing since creating BestSellingCarsBlog – the 5th time overall as I did visit back in 2001 when the car parc was near inexistant. In 2013 we went through a series of Photo Reports exploring the Great Wall of China and Beijing dealerships. 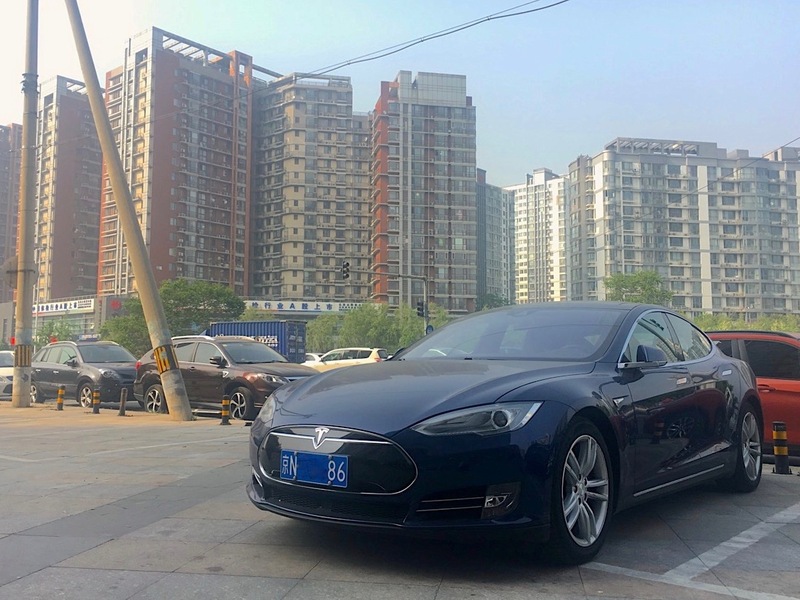 In 2014 we explored the Beijing hutongs and in 2016 we found that the Beijing car parc had not changed much and new energy cars were only starting to appear. The first thing I noticed in Beijing was that like two years ago, there aren’t many sparkling new cars around. 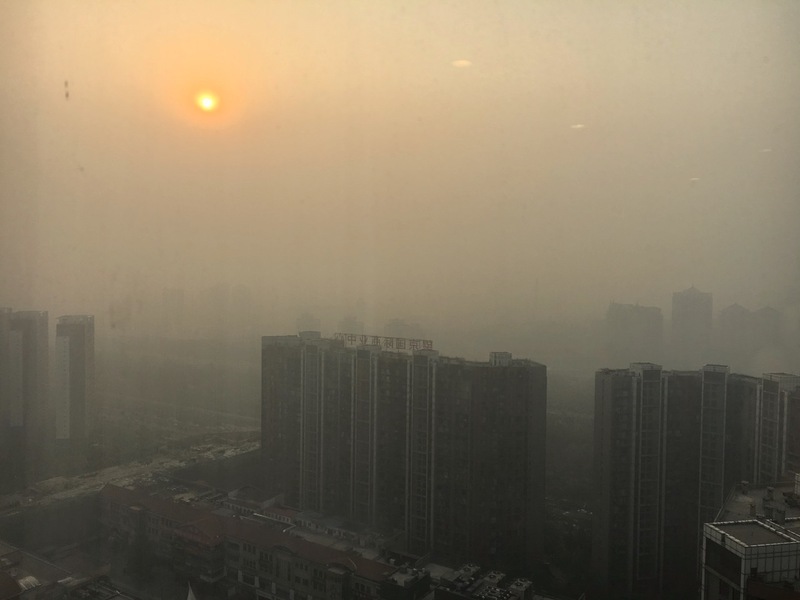 This goes against the trend in most Chinese cities but the explanation is pretty simple: this freeze is a direct consequence of the license plate restrictions put in place in 2014 to limit pollution in the biggest cities of the country. It makes acquiring a new license plate – and the right to drive a car in the city – almost as expensive as buying the car itself. 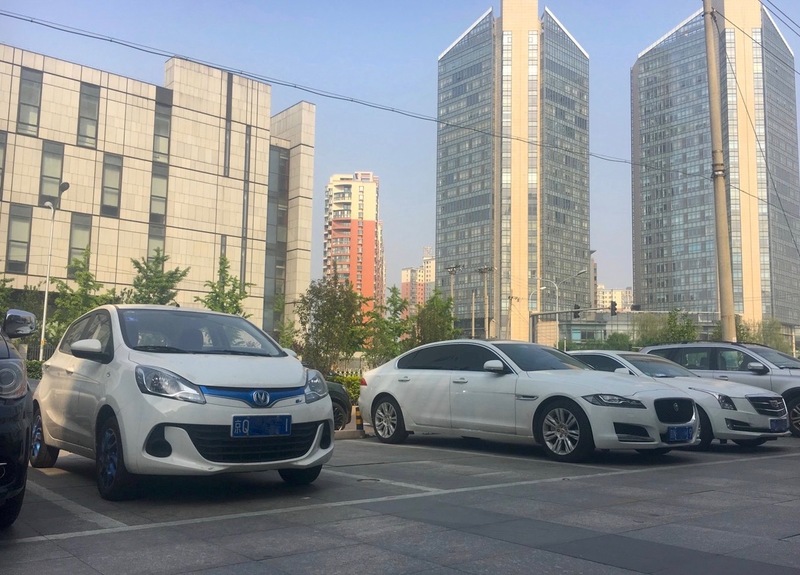 The main observation in Beijing streets this year is the spread of “new energy” cars – read electric and plug-in hybrid – and most notably Teslas. Since 2016, the brand has become ubiquitous here with many Model S and X spotted over the course of the four days I stayed in town. Other common electric cars of note are the Changan Benben and CS15 EVs. 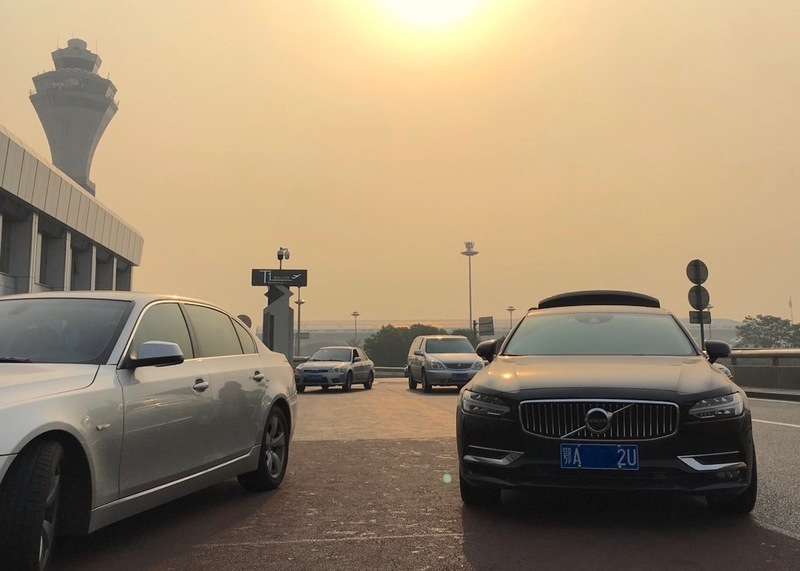 As far as combustion cars are concerned, there were a few rare highlights including the Chevrolet Equinox – already very frequent, the Wuling Hongguang S3, Chevrolet Cavalier and Volvo S90, all China-made. Even though taxis remain the most frequent cars on the road – with the Hyundai Elantra from three generations ago still accounting for the majority of the parc but the Citroen C-Elysee also scoring a significant share, the shift to ride hailing apps and car-sharing schemes was perhaps the most striking modification of the way the Beijing car parc is being used compared to my last visit two years ago. 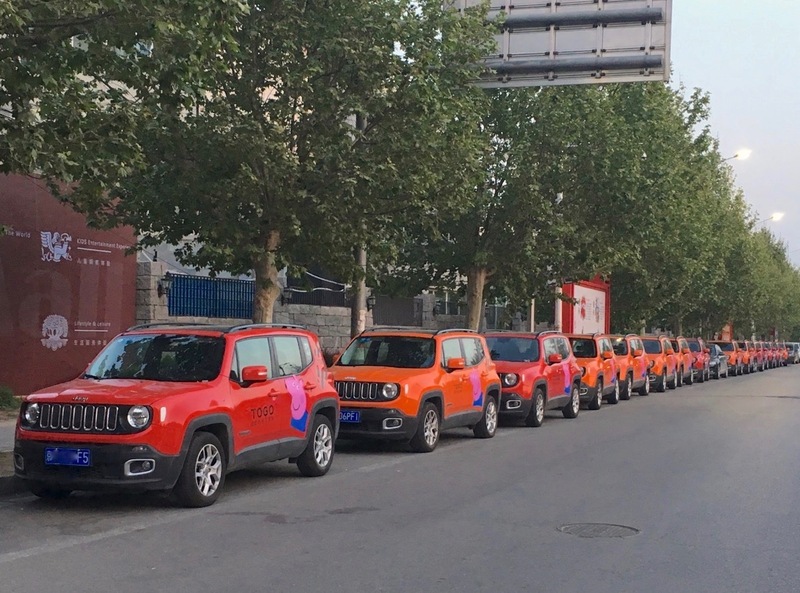 One car-sharing scheme stood out: Togo, with long lines of Jeep Renegade and Smart Fortwo spotted near the Beijing Auto Show venue northeast of central Beijing. Note this doesn’t mean it’s successful as none of these cars were picked up when I was observing. 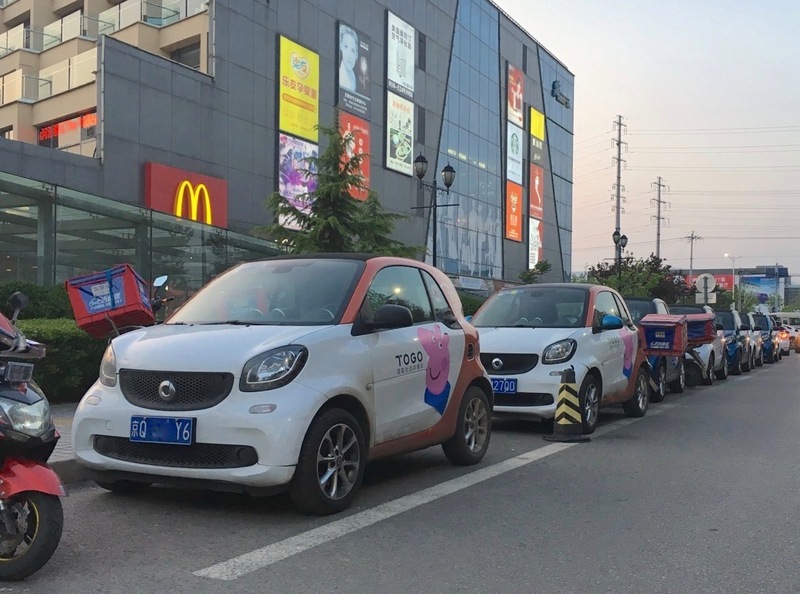 Smart Fortwo and Jeep Renegade part of the Togo car-sharing scheme in Beijing. While failing to find a vacant taxi on my way back to the hotel from the Beijing Auto Show, I decided to find out whether downloading and using the DiDi ride hailing app was as easy for a foreigner as signing up to Uber, Taxify or Ola back home in Sydney, Australia. For those of you who squint their eyes at the DiDi word, here is some background info. DiDi was founded in 2012 and has since become the largest ride-sharing app in the world (eat this Uber) with 450 million users across over 400 Chinese cities. It even acquired Uber’s China unit in August 2016. DiDi is the largest ride-hailing app in the world with 25 million daily rides, far outpacing Uber. But the record figures don’t stop here. DiDi claims 25 million rides per day, far surpassing the combined daily rides of all the other ride-sharing companies around the world. DiDi is the only company to have all of China’s three internet giants – Alibaba, Tencent and Baidu – as its investors. In May 2017 DiDi started to develop an English version of its app and has launched in Mexico last month. 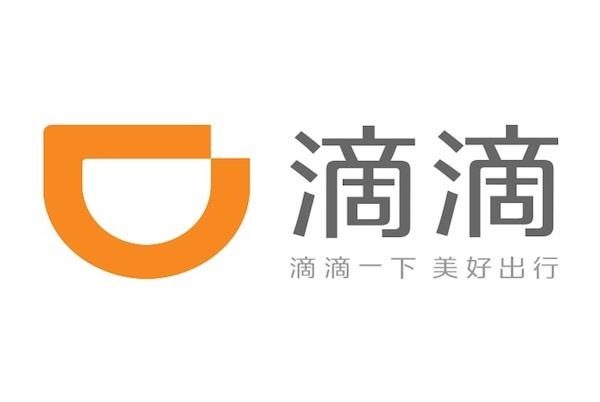 Finally, in December 2017 DiDi closed a US$4 billion financing round, becoming the most valuable start-up company in the world with over US$56 billion worth of valuation. First DiDi trip with option to tip driver. So in a word DiDi is a behemoth. And I found out first hand some of the reasons why. From the first screen you can choose the English version of the app that functions roughly as Uber does overseas. But the most striking point was its ease-of-signup. Contrary to most Chinese digital services (including Facebook equivalent WeChat) that require a Chinese bank account to utilise their full transaction potential, you can link your DiDi account with any international credit or debit card – there is a specific option to do exactly that. Enter your card details and in under one minute you are an active customer of DiDi and able to hail a ride. I have to mention that the entire process works more smoothly if you have a Chinese SIM card in your mobile phone, giving you a Chinese number. 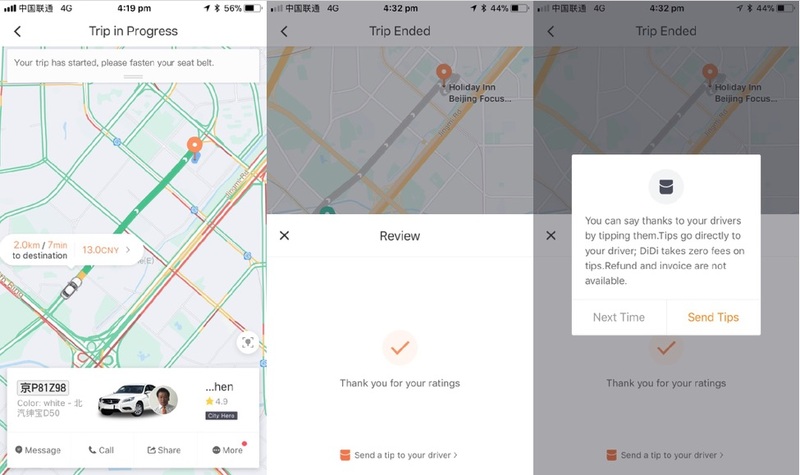 Second DiDi trip with fare discrepancy detected and lower fare automatically suggested. Keeping in mind my Mandarin skills are very limited, the whole process was done in English. As long as the driver doesn’t need to call you to ask for more details about your pick-up location, you are able to order and enjoy the entire ride without speaking a word of Mandarin, which is a feat in itself. The maps look a little more detailed as the ones available on Uber and you can follow the trip live (same as Uber) but also how much it is currently costing (Uber doesn’t show that). At the end of the trip, you are given the option of tipping your driver, something you can’t do on Uber in Australia as far as I know. My first trip went without hiccups but for my 2nd trip – to the airport – the driver took a wrong turn which added 15 mins and pushed the fare up by 2/3. 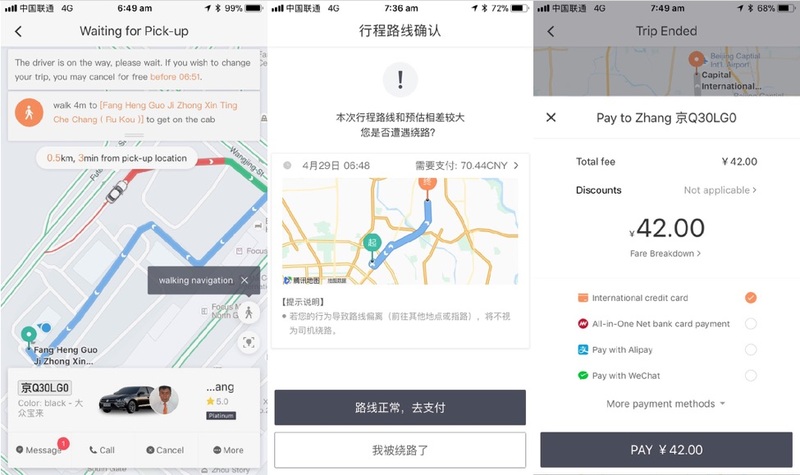 Not to worry, DiDi automatically detected the discrepancy with the predicted fare and offered the option to only pay the latter, not the inflated one. In Uber you have to actively search through the app for a way to connect and ask for a refund which is transferred in the form of a credit on your next ride. But with DiDi you actually only pay the no-road mistake fare. Well done, DiDi.